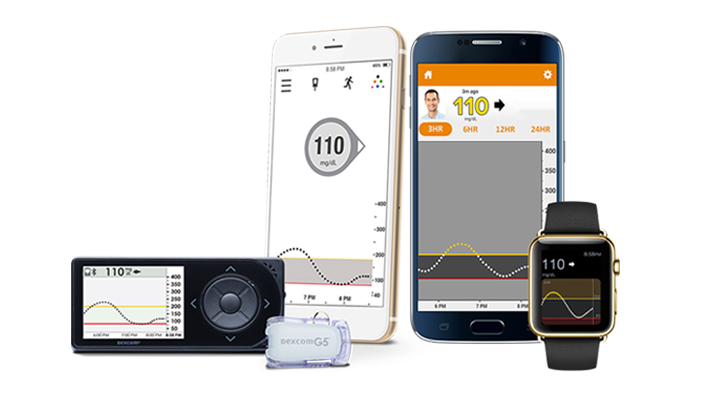 Shortly after launching its integrated continuous glucose monitoring system, Dexcom announced a 42 percent increase in year-over-year sales during its Q2 earnings call. The company reported big strides in terms of revenue; this quarter it raked in $243 million in revenue, up from $171 million in Q2 2017. The company also reported outperforming its earlier projections by $36.8 million this quarter. In March the company got the green light from the FDA to commercially launch its G6, an integrated continuous glucose monitoring (iCGM) system, making it the first interoperable CGM to get the designation. The Dexcom G6 remains the only FDA-authorized iCGM that can integrate with other compatible medical devices and electronic interfaces, such as automated insulin dosing systems, insulin pumps, blood glucose meters, or other electronic devices used for diabetes management, according to a statement released by the FDA at the time of the announcement. However, the company quietly began shipping the G6 on June 4, only a few weeks before the quarter ended on June 30. The G6 launch was actually ahead of schedule — originally the launch was planned for the second half of 2018, but the leadership decided to move it up. While it's only been on the market for a short period, the executive team remained positive about the future of the product. The leadership team attributed the bulk of the Q2 sales to its G5 product. However, as time goes on, the plan is to switch patients over to the G6 at their request, according to Quentin Blackford, CFO at Dexcom. During the call the leadership announced that it has decided to bump its 2018 guidance, and up the number from the range of $850 million to $860 million, to a flat $925 million. The executives also talked competition during the call. Since the G6 is the only iCGM on the market, there was discussion of competitors catching up. The leadership team also talked about the company’s ongoing projects, such as the Verily partnership aimed at created a mini CGM. The company reported that the first-generation Verily device is in its validation and verification stage. The team is also looking ahead to the second generation, which they report is on track for a 2021 commercial launch.